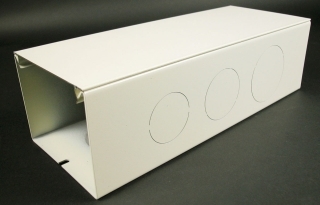 Wiremold Connector fitting in ivory finish, has steel construction for added strength and durability. This 12-Inch long fitting, is suitable for use with 6000 series multiple channel steel surface raceway. The fitting meets UL, CSA and RoHS standards.